It took Frank Gregoire six weeks to learn and memorize popular Bollywood love song "Tum Hi Ho." It took Frank Gregoire six weeks to learn the lyrics and piano chords to popular Bollywood love song "Tum Hi Ho." But with the expression left on the love of his life Simran Malhotra's face, his effort was certainly worth it. 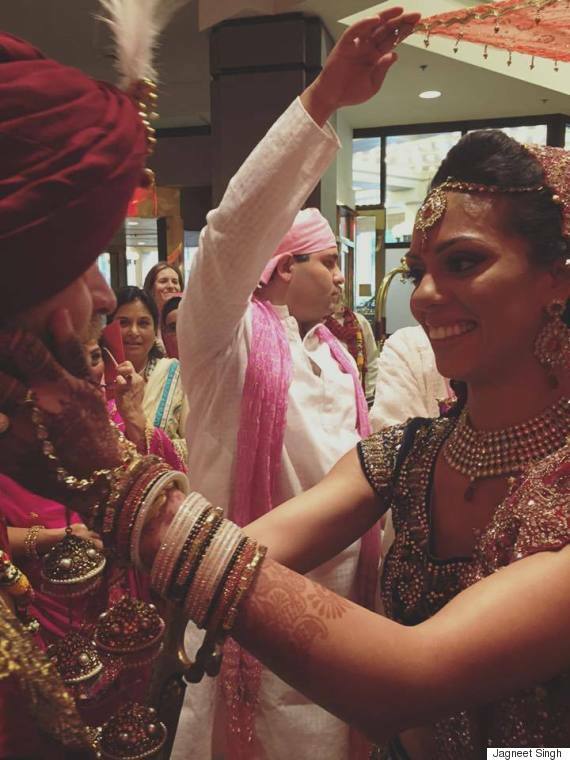 Gregoire, who got married to Malhotra on June 27 in Baltimore, Maryland, performed the song during the reception after the couple's Sikh and Christian wedding ceremonies. "My heart sank when I first heard him sing in Hindi. It was a feeling I had never felt before," Malhotra told The Huffington Post Canada. "The only thing I was thinking was, 'How did he manage to do this?' I was the only one at the reception who knows how hard he truly works." The song, which is from the popular Bollywood 2013 movie "Aashiqui 2," is a ballad about appreciating your one true love and not wanting to face life without them. Originally, Gregoire had planned to write or read a poem for his wife. "At the time I approached Simran's mom and she recommended a few options, one of which was 'Tum Hi Ho.' Once I read the translation, I realized I couldn't have found anything more perfect to express my feelings to her," he says. The Canadian couple — Malhotra is from Toronto and Gregoire is from Sherbrooke, Que. — met at work in 2012 in Baltimore, where they now live. Malhotra, 27, was beginning her medical residency, while Gregoire, 36, was starting a job as a critical care physician. "All our family and friends are on cloud nine still. That moment is one I will never forget for the rest of my life," Malhotra says. Gregoire, who has been called a "closet singer/piano player," comes from a musically talented family and plays for fun on weekends. During the 11-minute video by AVP Studios Canada studio above, Gregoire's uncle Marc joins his nephew to recite "WaWaWaWa" — a goofy line his family came up with during one Christmas in Montreal. 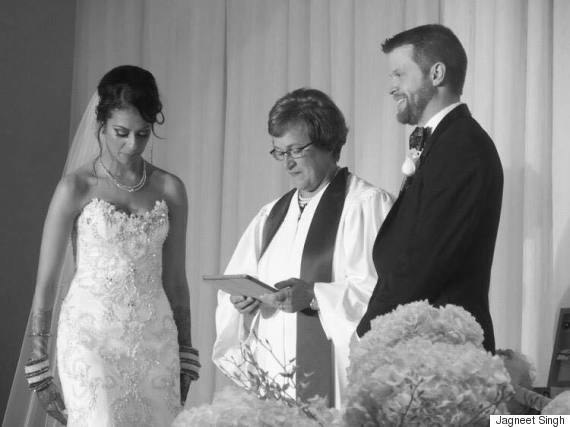 "When his uncle came down the week before the wedding, he told me they were just playing around on the piano one night, but secretly [it was] to lighten up the mood [and] make me laugh," she says. "Frank is the most fun loving guy I know. He can make anyone fall in love with him; whether it be my 10-year-old niece, my 89-year old-granddad, my best friend, one of his patients or a stranger on the street." He definitely knows how to make a grand gesture. Watch the video above of the happy couple for more!